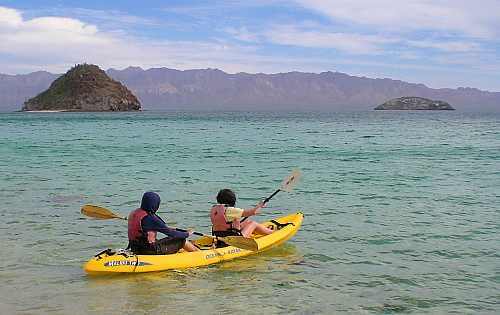 Santa Rosalía in Baja California Sur is one of my favorite places on the Baja California Peninsula. Geography and economics have conspired to change its fortunes more than most towns in the course of history. Originally founded in 1705, the town failed to prosper as its populace faced repeated epidemics, and its farmland was subject to a disastrous flood. The town was largely abandoned by 1828. A chance find of copper-bearing ore in the middle of the century reversed Santa Rosalía’s fate, and in 1885, a new lease of life was provided when the El Boleo mining company, backed by French capital, was granted a 99-year concession by President Díaz to begin mining for copper in exchange for building all the necessary infrastructure: port, town, mines, railway and foundry. It was judicious timing given that the world market for copper was taking off at precisely that time due to the rising demand for the metal from the fledgling electric companies in Europe and the USA. Within a decade, the mining company had become responsible for more than 80% of Mexico’s exports of copper ingots. The local ore was rich, with up to 25% copper in some samples. Workers flocked in from far afield, including three thousand from China. Working conditions were atrocious, little better than slavery. The health conditions for the miners and foundry workers were appalling;.for example, 1400 deaths were recorded between 1901 and 1903. The company decided on an unusual solution. Rather than move the workers’ homes, it decided to move the smelter chimney. The new chimney was built a kilometer out of town, connected to the smelter by a large, ground-hugging flue. The flue can still be seen today, climbing the hillside immediately behind the Hotel Francés. By 1900, Santa Rosalía had become a major world copper producer. The smelter relied on supplies of coking coal from Europe, principally from South Wales and Germany. The ships took from 120 to 200 days to reach Santa Rosalía from their home ports. Square-rigged vessels, flying the British or German flag, were constantly arriving in the harbor. When the First World War broke out, several German ships were unable to return to Europe and spent the next few years anchored offshore. The sailors were shocked when they heard that Germany had lost the war; their vessels were eventually distributed among the victors. The copper deposits were eventually exhausted. The El Boleo mining company closed in 1954, but the state-run Compañía Minera Santa Rosalía continued to mine until 1985, when the smelter was finally shut down, on the eve of the town’s 100th anniversary. The collapse of the copper mining industry may have caused Santa Rosalía to slip back temporarily into a somnolent slump, but it is now recovering. The mining boom of a hundred and twenty years ago has been replaced by a boom in nature and adventure tourism, which take advantage of the town’s proximity to Conception Bay and the islands in the Sea of Cortés. As we shall see in a future post, because Santa Rosalía has preserved much of its past, it has a massive advantage over its competitors in the region, in that its initial revival fueled by ecotourism can be amplified by cultural or heritage tourism. This beautiful old town and its inhabitants have plenty of reasons to be optimistic as they face up to the challenges of the twenty-first century. And now, the town has another reason for optimism. The massive El Boleo copper cobalt zinc-manganese deposit, which fueled the town’s first boom period, is now being re-developed with new technology. Baja Mining, based in Canada, owns 70% of El Boleo; a consortium of Korean companies owns the remaining 30%. The 1.2-billion-dollar, open-cast mine will add 3,800 jobs to the local economy. 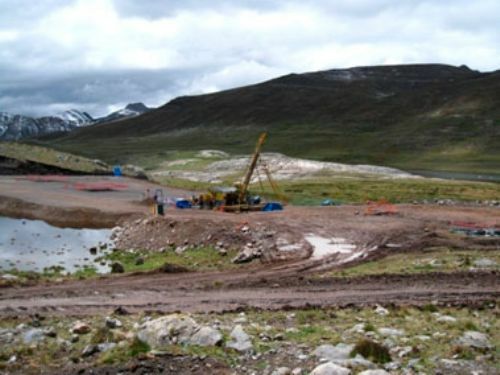 During its anticipated 23-year life span, El Boleo is expected to yield more than 2,000 metric tons of cobalt, 25,000 tons of zinc sulfate and 50,000 tons of copper annually. Niemann, Greg. Baja Legends : The Historic Characters, Events, and Locations That Put Baja California on the Map. Sunbelt Cultural Heritage Books. I am interested to learn about Baja Mining. It seems that this new mining attempt will be a great boon to the town of Santa Rosalia, and it is expected to add 3,800 new jobs. This is exciting news. Please let me know how the work is progressing, and do you have an approximate opening date when actual copper extraction from the mine begins. I drive through Santa Rosalia regularly last time was July 2 2012 and I spent the night in Santa Rosalia and saw sailing friends for dinner. The town has really come to life. All the main streets and Highway 1 are beign repaired and rebuilt. The town is extremly busy and the mine has already spent over 500 million dollars (US) on preparing the mine for opening in 2013. A huge peir is to be built for the ore ships to load the various ores for transport. The hotels are full of mining people and investor personell. It was in a temperary slowdown in construction while awaiting more investor money for the final phases of preperation for mining.